If you want additional information about home staging to sell your home quickly in Burlington, contact David Massey Real Estate and I'll assist you with designing the best image for your home. Prior to placing your home on the market, consider the best way to sell your house: careful home staging. 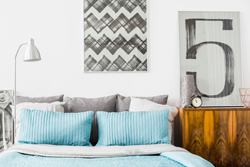 Some advantages to home staging include fewer days on the market and higher selling prices. And you should definitely decide on professional home staging if you need a quick home sale. Staging your home in Burlington is all about promoting a lifestyle. You want buyers to see themselves living and lounging in your house. You want them to see your current home as their future home. Begin with the exterior of your home, or your curb appeal. Inspect the outside of your house from the view of a passerby. What jumps out at you? 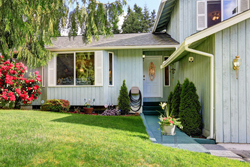 What dollar-earning characteristics seem hidden?Knowing this assists us in deciding what plan of action we can use to attract buyers from the street and into your home. If your house isn't attractive on the outside with retouched paint and colorful garden plants it's time to get those things done. Refer to the Curb Appeal Checklist and add dollars to your home's final selling price. Does your house seem to say, "Hello From Your New Welcome Home" to a buyer? Looking through your house from a buyer's perspective, I'll recommend fixes that build up sales appeal. I'll suggest that you put in storage pieces that give the appearance of clutter. Table and counter tops should be neatly arranged. Arts and crafts, souvenirs, family photos, and play time artwork should get moved out of sight. You need to "generalize" the house so buyers can picture it as their new house. Working together, we'll make sure your house is appealing and that it's inviting, steering clear of "loud" or "too-bright" shades on the walls and furniture. And if you've already moved out, you can consider temporary furnishings. You want your home to look homey as opposed to bare. I'll tell you when to host an Open House, because all of the changes come together to create a picture of what buyers will expect when they consider buying your house. Dark living areas can be a real mood killer, so we'll do things like draw back curtains and create light where needed to invite the buyer inside. Together we'll enhance the air of the house with enjoyable music to listen to while guests take a walk-through of your home and make sure a pleasant aroma flows throughout your home. We'll incorporate cozy-looking blankets, and pillows on your couch and bedding. Buyers should feel like your current home has the potential to be.